After seeing the assassinations of four local police officers in a coffee shop, preceded by another cop-killing on Capitol Hill, on top of all the other recent shootings, snipings, assassinations, and cold-blooded murders, you really have to wonder how we haven't reached the absolute saturation point. It's a recurring nightmare, or an awful slasher movie with a dozen sequels. The National Rifle Association is like a twisted Energizer Bunny. Every time we see an office shot up, or episodes like the recent murders of four northwest cops, or just the mundane, run-of-the-mill "father kills family, self" headline, the NRA releases a new statement about how the tragedy might have been avoided had one of our good citizens been nearby, and packing. Despite Columbine, Fort Hood, the recent assassinations of five Seattle police officers [ed's note: the number went up to six (and almost seven) recently], and dozens of other tragic cases of carnage in America, the NRA continues to herald its resurgence. The NRA's membership rolls have swelled as people fear President Obama will send in jackbooted thugs to confiscate your guns. 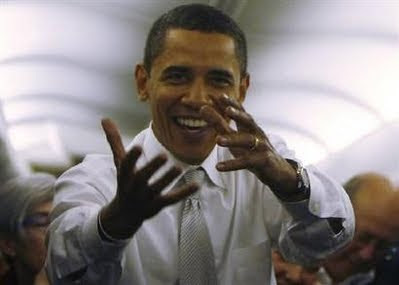 Mr. President, you have not been afraid to tackle the other fractious and thorny issues. 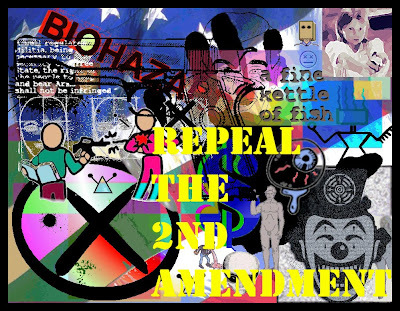 We urge that you propose the repeal of the second amendment. Sure, you'll lose some votes from the gun nuts and NRA, but, then, none of them ever voted for you in the first place.